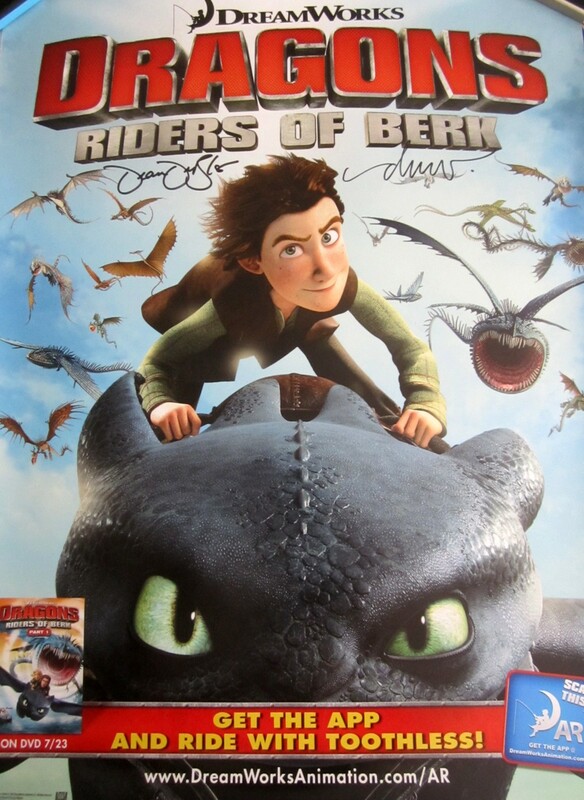 Dragons: Riders of Berk 18 by 24 inch poster (printed on Epson professional photo paper) autographed in black marker by How to Train Your Dragon director/writer Dean DeBlois and legendary poster artist Drew Struzan. Obtained in person at very limited 2013 Comic-Con signing, with certificate of authenticity from AutographsForSale.com. 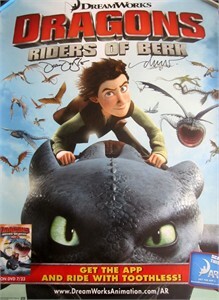 Poster has very minor handling flaws. ONLY 2 AVAILABLE FOR SALE. LIMIT ONE PER CUSTOMER.